Igloo recruiting representatives are hosting a career fair June 20 at the Comfort Inn conference room in Winfield, Kansas to find qualified candidates for positions in plastics manufacturing, maintenance, and processing and set-up Technicians. We are proud to be a U.S. manufacturer creating jobs in the U.S. and offering our employees exceptional benefits and a quality work environment. The career fair will be held from 1 to 4 p.m. June 20 and 9 a.m. to 12 p.m. June 21 at the Comfort Inn, 3800 South Pike Road in Winfield. “We are proud to be a U.S. manufacturer creating jobs in the U.S. and offering our employees exceptional benefits and a quality work environment,” said David Thornhill, Igloo Chief Operations Officer. Igloo is looking to fill positions to enhance the manufacturing activities of its 1.8 million square foot manufacturing facility in Katy, Texas. Those interested in career opportunities with America’s leading cooler manufacturer are encouraged to participate in the upcoming career fair. Igloo will provide application stations and an opportunity to meet with recruiting representatives. 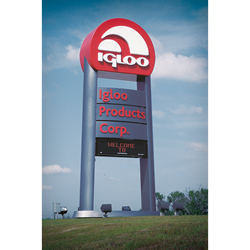 All job openings at Igloo are posted on the Igloo Products Corp. Careers website at http://www.igloocoolers.com/jobs.